An inexpensive way to decorate your table. Confetti available in any colour, design and size. We can custom make these so please ask if there is a specific design you would like. 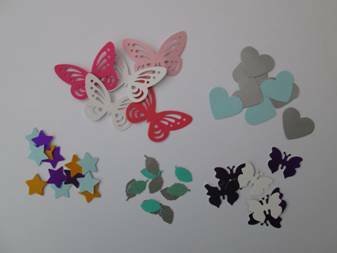 Traditional foil confetti, crystals and petals also available in a variety of colours. Take a look at our Organza Swags, Bay trees, Place names, Charger plates and Favours to complete your look.